If you’re interested in following Jesus, we’re interested in helping you do it! When Jesus called his disciples to follow him, they weren’t all that sure what they were getting into. And that’s true for the rest of us as we seek to follow Jesus. But Jesus’ disciples knew there was something remarkable about him — the way he loved and lived, the things he said and did, and the kind of life he wanted for the world. So they followed and discovered opportunities to grow in their faith and steadfastness, to take risks and try new ways of being and doing things, to tell their story and enjoy new relationships with other disciples, their neighbors, their family and friends, and most of all with God. 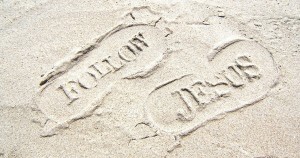 We invite you to participate with others who are being formed to follow Jesus. Faith formation is a lifelong process that begins even before baptism. We are never done learning about God and exploring our faith. Our call to ministry as followers of Jesus begins with baptism. Discerning God’s desire for you is an important task, whether you are discerning lay leadership or ordained ministry. Training our leaders is an important ministry that will not only equip the leaders, but will also equip the church and the community.